Don't be roused by the criticism of others and pick your battles wisely. Long-term loyalties without reciprocal investment come up for review. Instead of rebelling against routines, try approaching them with a cool mind. You will feel a sense of rebirth this month. Now is the time to re-energize, renew yourself, regroup and begin the process of stepping into the new-and-improved you birthed over these past nineteen months. Get ready to stalk your prey—the core value of your own significance—like a lion on the prowl for fresh meat over the coming year. The King/Queen of the celestial jungle is experiencing Mercury’s Retrograde in Leo from July 25-August 18 much the same way as the lion regards hordes of buzzing flies swarming around hardearned prey: as a distracting annoyance to roar one’s way through. 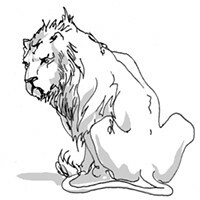 You'll reassess your decision making processes and assume a leadership role this month, Leo. 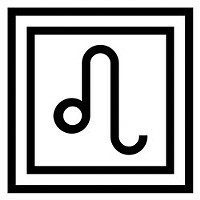 You zodiac sign will embark on a spiritual journey this month. This month, you'll gain a new perspective on relationships by putting your own emotional needs first. Two eclipses will impact your sign and cause a series of surprising events starting this month. It’s time to live under less Spartan conditions. You still have plenty to accomplish, yet taking care of your body and your mind must come first. Powerful forces are dismantling your old ideas of work and giving you the chance to create something truly meaningful, but you have to give yourself to it. You need to get to the point where you are your own authority, and consciously boot the vestiges of your parents and various other control freaks out of the way. Thu., April 18, 6 p.m.